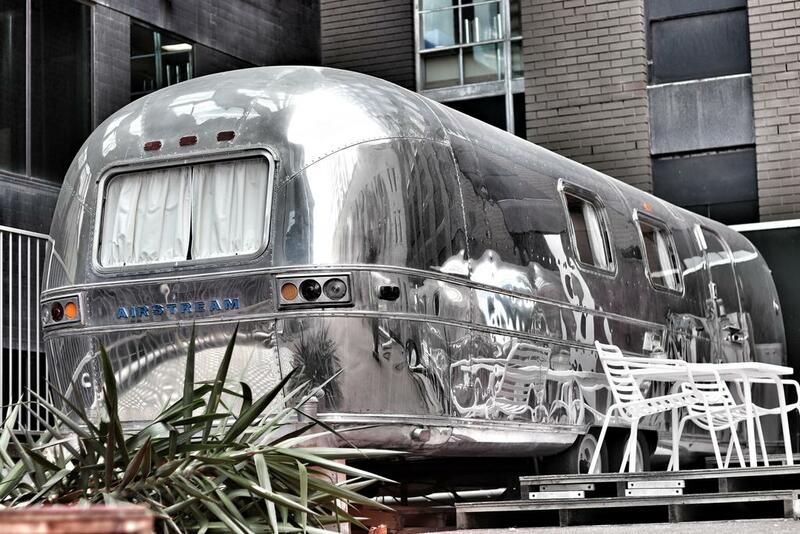 After travelling to the US, Australian citizen James Fry was captivated by the American icon of the Airstream trailer and decided to install six reconditioned trailers onto the rooftop of his Melbourne carpark. 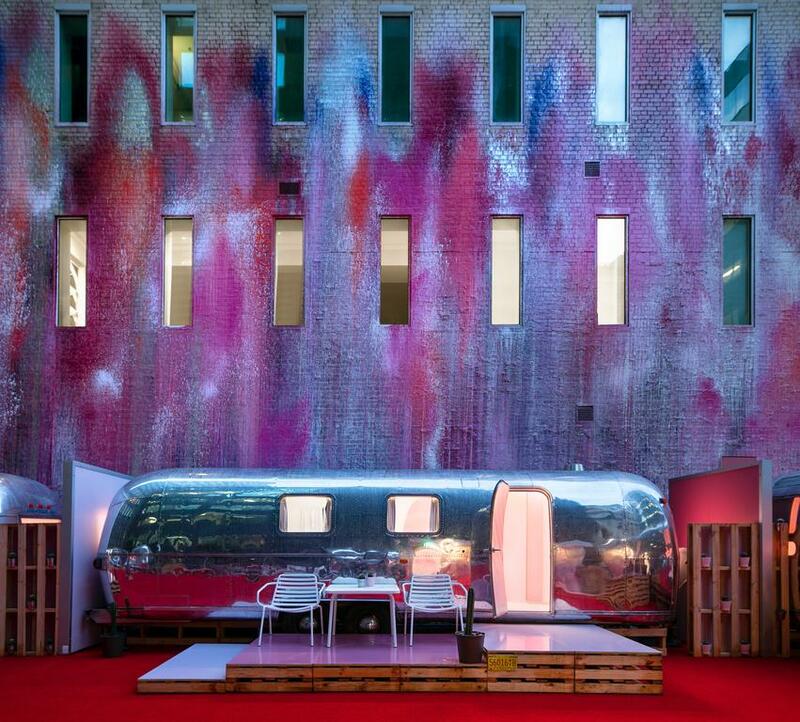 Aiming to create an accommodation concept reflecting anything but the typical hotel – Fry asked Self-titled design studio and Edwards Moore architects for assistance in bringing all aspects of his idea to life, while making those trailers every bit as cool as they are functional. "Unlike conventional hotels, the design aimed to minimise joinery and loose furniture. The raised platform enabled the bed, the seating and the storage to be fully integrated and the white Bolon Artisan Ivory flooring was crucial in dissolving the transition between floor and walls to create the seamless sci-fi aesthetic. 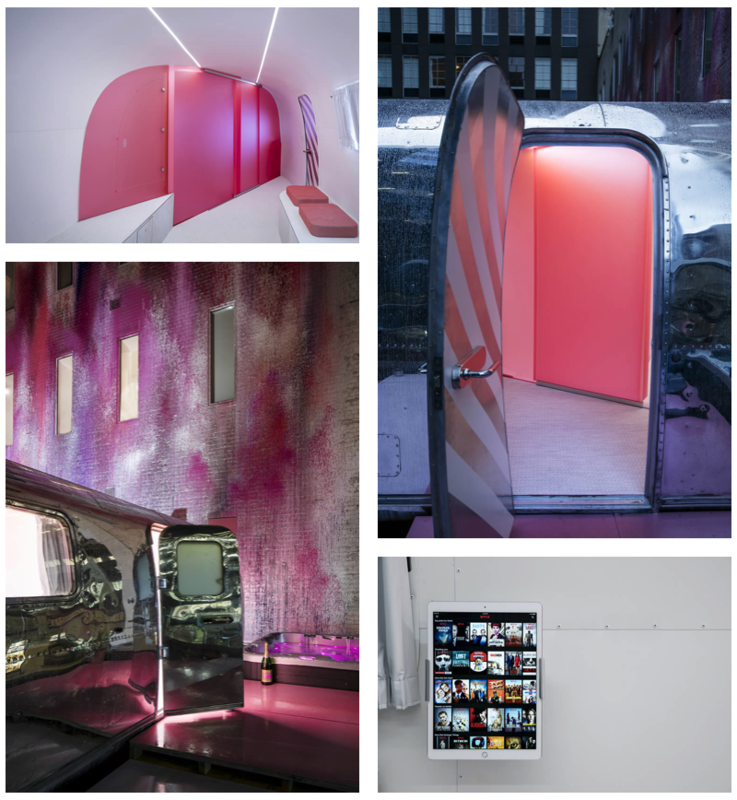 The hot pink acrylic is a stark contrast to the white and the various lighting modes enable the pink to act either as a filter or as a backdrop". See you at the Notel!